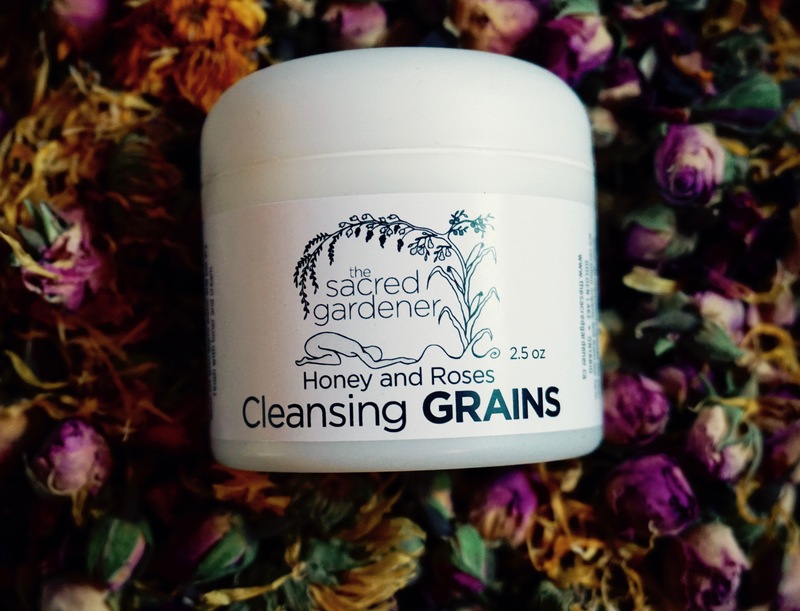 A 100% natural way to beautify and exfoliate your skin without harsh cleansers or perfumes, our cleansing grains were specially formulated to tighten the skin, remove dead skin cells, and unclog pores. A crucial ingredient for all natural facial care. Ingredients: Raw Wild Flower Honey from our bees, White Kaolin clay, Ground Organic Oats, organic Almond meal, organic blue Corn meal (from our gardens), ground poppy seeds (from our gardens), organic Rose petal powder and organic lavender powder. Oatmeal – Extra gentle and great for all skin types including those with sensitive skin, oatmeal is very healing, nourishing, and softening to the skin and is always in my grains. It’s great at helping to heal almost any skin condition, all the way down to poison ivy/oak/sumac. Nuts/Seeds – These are great for adding just a tad more exfoliation, if your grains are feeling too light, though you don’t want to overdo the exfoliation because if it’s not gentle, then it shouldn’t be used daily. Nuts and seed have many different wonderful vitamins and minerals that are great for your skin. Many nuts and seeds contain a certain percentage oils too, so they can be very moisturizing and repairing to your skin.